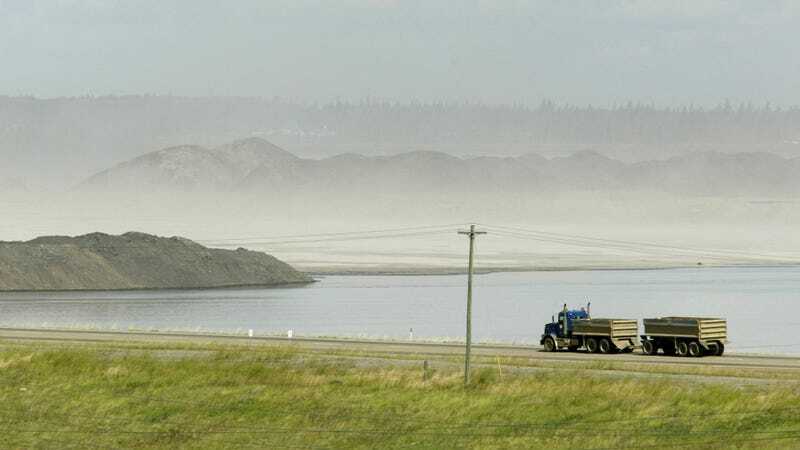 One big concern surrounding end-pit lakes is that the contaminated water will spread through the boreal ecosystem, the tract of trees and marshland that stretches around the top of the world from Canada to Russia and Scandinavia. Boreal forests store almost twice as much carbon as tropical forests. Lead image: A settling pond in Ft. McMurray, Alberta, Canada, on Friday, August 5, 2005. AP Photo/Jeff McIntosh.